The BAU heads to Bethesda, Md, to investigate four murders in the span of three days along the eastern seaboard. The crimes become personal for Alvez. 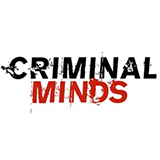 Criminal Minds was broadcast on Seven at Wednesday 21 November 2018, 23:40.